I created this page as a resource for you to use to help you build your online business. You can come here as often as you like to see a compilation of all my favorite resources, tools and recommendations for helping you make more money. I’ll add to it and update it as I learn about new products, but you’ll notice that in the future I will reference this page quite often in my blog. Be sure to check back often. As new products come along, I sometimes drop tools, products and programs in favor of better ones. I recommend bookmarking this page for ease of finding. Disclosure: Please note that some (not all) of the links below are affiliate links, and at no additional cost to you, I will earn a commission if you decide to make a purchase. Earning affiliate income is just one of my income streams. Please understand that I have experience with all of these companies, and I recommend them because they are helpful and useful, not because of the small commissions I make if you decide to purchase something. By clicking on the links and icons you may be taken to a sales page where you can make a purchase. You can do that through a credit card or a PayPal account. Please do not spend any money on these products unless you feel you need them or that they will help you achieve your goals. https://www.wordpress.org Building an online website is similar to building a brick and mortar business. All businesses start with a structure or open architecture platform. 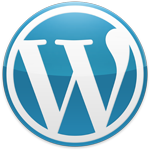 I use WordPress for all my blog sites. WordPress started in 2003 as an open source platform which means thousands of skilled website architecture coders worldwide are continually working on it making it now the number one FREE website building platform with more than 2,000 free themes to choose from. This site was built on a WordPress theme. Many WordPress Themes are built for mobile devices and can easily be converted into other themes. Click here to learn how to use WordPress to start your blogging site for FREE! I am a big fan of building websites using WordPress as are millions of online business developers. I started my first online businesses with free WordPress themes. As I grew in my web design skills, I realized that some of the free themes have limitations. To get more robust features, I knew I had to step up my game. My all time favorite is Elegant Themes. I use Elegant Themes now on all of my sites because of the ease of customization. I can get the exact look I want for my websites. The theme you are seeing on this site is called “Divi”. Divi is by far the most easily customizable theme I have ever worked with. Click here to read my review of Elegant Themes and Divi. 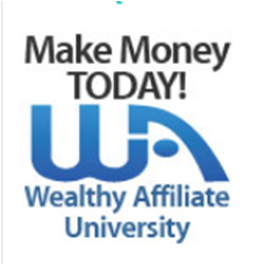 When it comes to learning how to build a money-making website from scratch, Wealthy Affiliate is easily my Number 1 Choice. Wealthy Affiliate provides a website building platform, hosting and 24/7 technical support that is second to none. With Wealthy Affiliate’s cutting edge technology, you can literally launch and host your WordPress website using a free theme in less than three minutes. Gain social support and website comments from over 100,00 active community members and earn money while you learn every aspect of building a successful online business from the ground up. Click here to read my review of Wealthy Affiliate and get a special bonus–two free websites. Before you can create a website, you need a domain name. The most popular extensions are .com, .net, and .org. 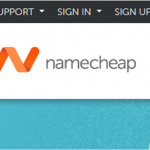 My top pick for domain name registrars is NameCheap. You can get a domain name for as little as $11.00 which includes privacy protection. Other name registrars offer a cheaper domain name as a lead in but when it comes time to renew, watch out–they may gouge you on the back end. Over the years, I have used a number of different companies to host my websites. When it comes to hosting, price should be the last consideration. There are four must have criteria the first of which is reliability. You need a host that has a 98% up time or better. Next, a website host must provide highly responsive technical support. The third must have criteria is security. Website hosts have to make sure your valuable website content is safe at all times. The fourth criteria I look for is how easy the host company is to work with when it comes to transferring a website from one host to another and how easy it is to use their platform for building a website. For all four of the above criteria, my top pick is Wealthy Affiliate. While Wealthy Affiliate is best known as an online business building and training company, (See my review here.) their hosting platform for WordPress websites in my opinion is second to none. If you are a novice website builder, there is no doubt in my mind that Wealthy Affiliate is the best choice to host and build your first websites. But if you have more experience and do not need help in learning what to do and not to do to build a successful internet marketing site, my top recommendation for a website host is BlueHost. Unless you require a VPN (Virtual Private Network) for hosting dozens of websites, BlueHost will give you a robust C-Panel for building your website, security, excellent support and 98% or better uptime for an affordable monthly expense. I make a lot of my graphic images from PowerPoint and Adobe. Using your own photography is a sure way to avoid copyright infringement. Copying images from other websites and pasting them into yours can get you into big trouble. Unless you are hoping to fight a big legal battle, don’t do that. You can purchase royalty free images that are beautiful and will add a lot of interest to your website. I recommend Fotolia or iStockPhoto. There are some limitations for use that apply with both of these companies. Read my post on how to insert images into your posts here. If you are a Mac user, ScreenFlow is the best. For PC users, I recommend Camtasia. Camtasia allows you to use live screen projections or PowerPoint presentations with a recorded script. From your edited content, you can host your videos on YouTube or ScreenCast and then upload your video to your website. I use Camtasia to record my training/teaching tutorial lessons. If you decide to use Camtasia, you will also need a high quality USB headset with microphone. Omnidazzle is a great free resource tool for drawing on your screen. Stay Tuned! More fabulous resources are on the way! There are a number of books over the years that have influenced my thinking when it comes to building a successful business. Listed below are a few of my favorites. The 4-Hour Workweek by Timothy Ferris is a book I recommend for all my coaching clients. This book rocks when it comes to learning about how to ditch your dead end 9-5 job, live anywhere and join the new internet rich crowd. The E Myth Revisited by Michael Gerber teaches you why most small businesses do not work and what you can do to avoid the time and lack of growth traps. Guerrilla Marketing by Jay Conrad Levinson is a classic book about how to market your way to business success on a shoestring and how grow a business with four proven steps. 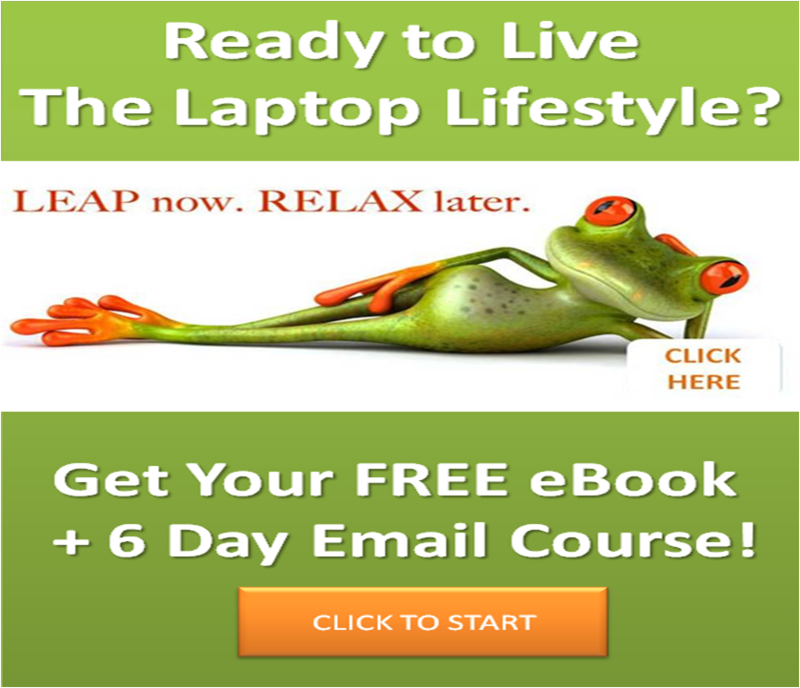 Eat That Frog by Brian Tracy is a fun and easy to read book about how to avoid the deadly pitfalls of procrastination and add more productivity to your day. Secrets of the Millionaire Mind by T. Harve Eker is an easy to read book about how to go from a poverty mind to a millionaire mind by changing your attitudes and habits. Think and Grow Rich by Napoleon Hill is the ultimate classic for anyone who wants to build a strong money-making mindset. Unstoppable by Cynthia Kersey is a powerful book about the stories of ordinary people who accomplished extraordinary visions of success. The 24 Hour Millionaire by Rebecca Stone is my new book about the 24 truths my millionaire mentors taught me when I needed to know how anyone can transform themselves from a just over broke wage-slave to an unlimited money maker. As a Man Thinketh by James Allen the all time classic mindset building book with my 7 chapter introduction about how you can turn your dreams into reality. Download your pdf FREE COPY here. 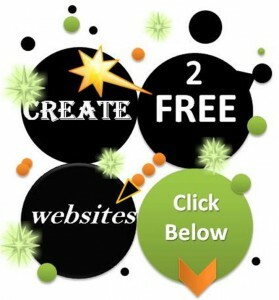 Learn how to create, host and build two free money making websites here. Access your Free 60-Minute Breakthrough Coaching Session here. Simply add your name and email address with a brief message in the contact box. Join my list of 3,000+ subscribers! Start learning how to make money online today. Add your name and email to the form below the Search Field on the right sidebar or click the blue Subscribe Me Now button below and get instant access to my free eBooks, The 7 Hidden Powers of Abundance and Time Rich Money Rich Business From Home, plus my monthly newsletter, “Best Practices For Online Business Builders”, and your FREE 6-Day email course. My newsletter gives you access to my newest articles plus success strategies that aren’t on my website. Click the Subscribe Me Now button below.